I am coming to the end of a Moleskine Classic Notebook that I have been using at work for the last year. The completion of a notebook in full is a somewhat rare occasion - after all, as a stationery enthusiast, there is always a new notebook with new paper to try. Closing the cover on the last few pages today had me remembering the first time I picked up a Moleskine notebook, many years ago. It must be at least 15 years, if not longer, as they had not yet become popular and had a limited selection. I still remember the soft black leather looking cover with the black elastic band holding the pages together. The smell of the fresh paper and the sound of the lined, thick pages flipping, tempered by the more firm cover. I remember finding the useful pocket in the back of the notebook containing the history of the book pamphlet! These journals were terrific - and changed the way I pick and use notebooks every since. When I first found them in a local bookstore, I loved them and used them for everything. My tastes in stationery and paper needs have changed since then. And because of this, I realized the limitations of the Moleskine Notebooks - the design is still fantastic, but, unfortunately, the paper quality leaves much to be desired. However, I do use them from time to time as I always have an ample supply, usually as a desktop notebook at work. They work reasonably well for daily notes and planning with a pencil, ballpoint or thin gel pen. 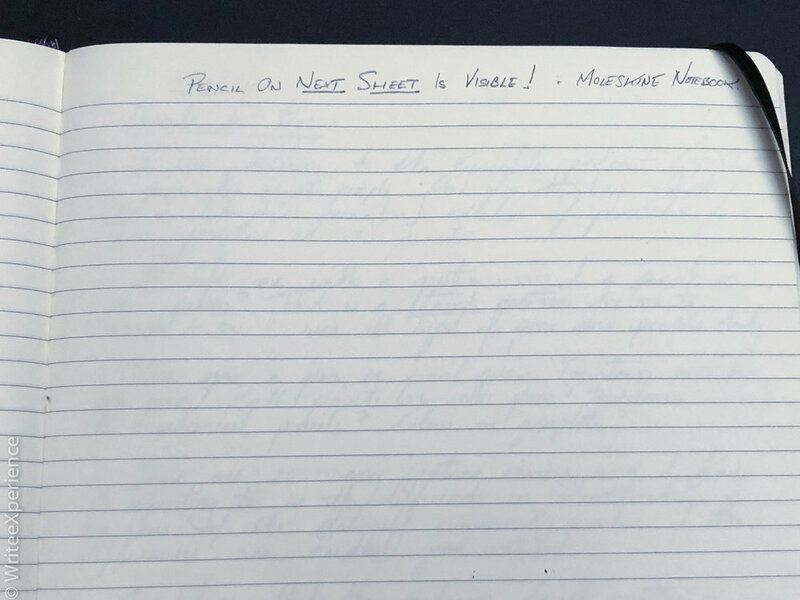 Coming to the end of this book, and as I start the ritual of looking through my collection of blank notebooks for a replacement, I wanted to document my thoughts about my Moleskine companion for the last year or so. My Moleskine is the traditional, black leather, soft-cover notebook that Moleskine first released. Perhaps because of my memories of this journal as my first beautiful writing experience, this is my favourite form factor. Larger than an A5 notebook, but smaller than Letter-Sized paper, this book is a useful size for journalling or desktop note-taking. It is 9.75” x 7.5” and maybe a little large and heavy as a travelling notebook. The cover and design has held up well to a year of daily handling and often being dumped in a briefcase. The front cover is soft - not a hardcover but made from thick enough cardboard to provide protection and avoid getting bent or damaged. 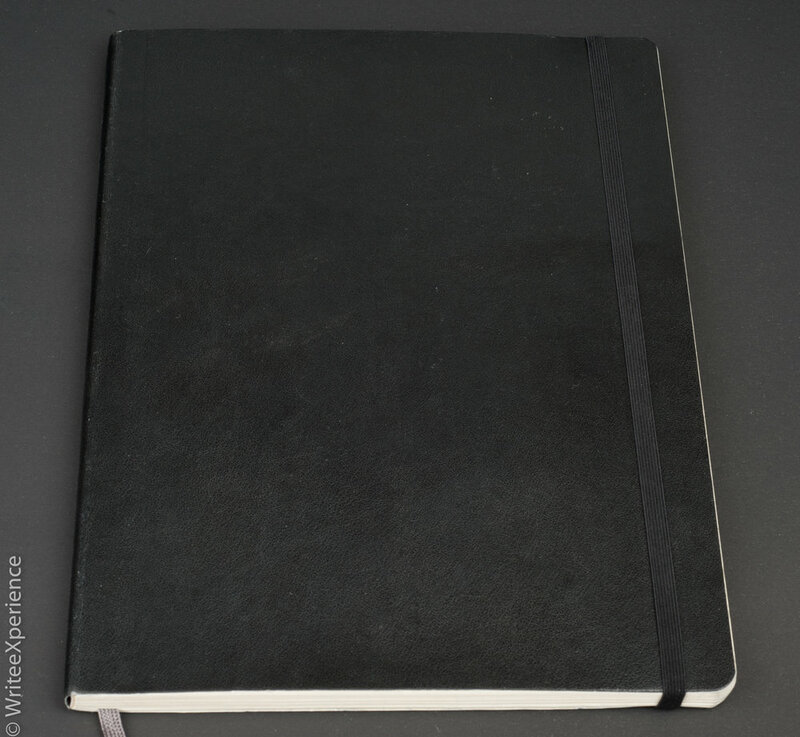 The cover is covered with a black leather looking texture and the only branding on the book is a small Moleskine logo on the bottom of the back cover, in the middle. The look of the Moleskine Classic notebook is timeless and classic and still one of my favourite journals. Even a well-used notebook presents beautifully. The notebook has 96 sheets, or 192 pages and has one grey fabric bookmark attached. The paper is a 6mm lined format. I couldn’t find any reference to the paperweight, and, unfortunately, the paper is the notebooks biggest challenge. A selection of inks and pencils - the paper smudges easily! Bleed through from the fine nibs! 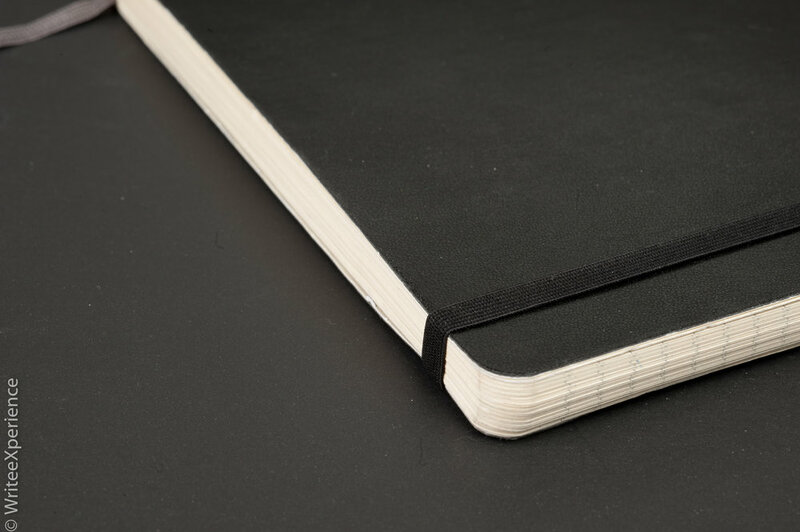 One of the biggest complaints about Moleskine, particularly in recent years, is that the paper is inconsistent. The same model of notebook may have paper that differs substantially over time. And the paper ranges from average to poor depending on your usage. That said, Moleskine’s paper is very smooth with a light cream colour. The paper is relatively thin, and this allows a lot of bleed-through, which is the downfall of a notebook. To successfully write in this book, you must carefully consider which writing instrument you will use. With anything other than the finest nibs and lighter ink colours, fountain pens show through the page. Gel pens tend not to dry consistently and quickly and can smudge, and even pencils smudge easily. Be cautious if you are a leftie as this will make the problems worse. How severe can the bleed-through be? As expected with a thinner paper, thicker nibs and darker inks show through on the other side of the page. Most paper will do this to some extent. 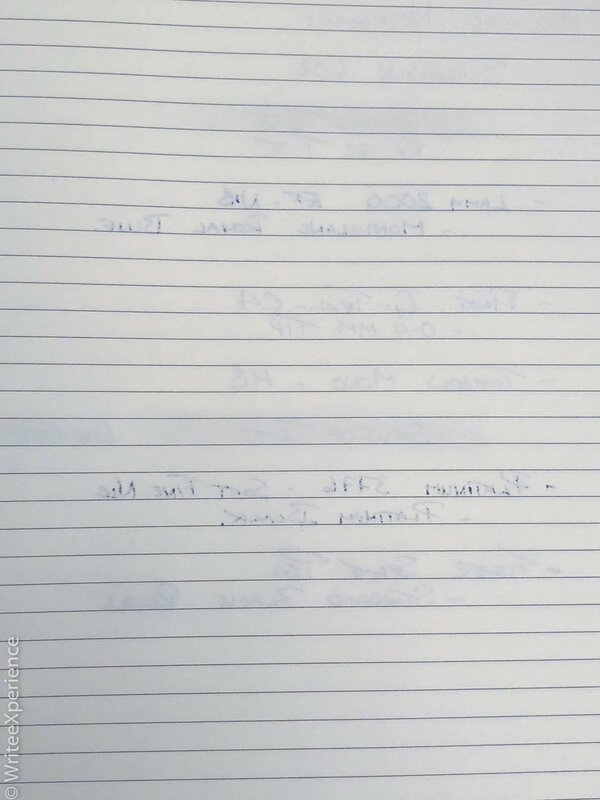 However, to give an example of how bad Moleskine paper can be, I looked at the sheet in front of a page in my notebook that I had written in pencil. I could see the pencil writing clearly through the second full sheet! See the picture for examples. This visible writing shows relatively poor paper quality. I enjoy turning the page on a notebook and starting with a fresh page. If I can see what was written on previous pages so clearly, it does lessen the experience. Despite the concerns I have with the paper quality of the Moleskine, it has served well for the last year. I tend to write my notes in pencil or gel pen, and this works well enough for my work needs. This work notebook isn’t going to be a journal that ends up in my archives, and for that reason, it is okay for my work needs. The pencil writing is showing through from the next sheet! Ouch! I love the design, dislike the paper for the transparency and ease in smudging. But it wasn't until I was considering which notebook to replace this that I focused my thoughts on the paper. Moleskine replacement books are in the $25 range. For the same price, I can get an excellent papered Leuchtturm 1917 A5 notebook or a very fountain pen friendly Rhodia A5 webnotebook. And despite the beautiful design when I consider writing entries daily for the next year, the Moleskine becomes the third choice for me. However, I will always have that wonderful memory of my first Moleskine notebook. disclaimer - this page contains affiliate links to help support my site. Thanks! I recently discovered that Amazon offers a No.2 yellow pencil in their AmazonBasics line. At only $2.00 for 2 dozen pencils, my expectations were low, but this pencil has surprised me. If you need a value priced pencil for work or school, the AmazonBasics choice is a cost-effective option that seems better than some of the similarly priced options available at big-brand stores. The Superior Labour leather A5 sleeve is a wonderful, soft notebook cover. Is it worth the price? I think so - it is beautiful and functional. The Maker’s South Field Notes Sleeve is a wonder, practical and well crafted notebook carry. The leather is soft yet durable, and extremely attractive. Read my full review. The Conklin 120th Anniversary Limited Edition Duraflex is a beautiful acrylic pen with tradtional styling and a flexible steel nib. The nib felt soft, but I couldn’t get a lot of line variation, but it was a pleasure to write with. This pen comes with a matching blue limited edition ink, with is a delightful colour and well behaved. I recently tried the nylon pen roll from Rickshaw Bagworks with amazing fountain pen art by Ricardo-Jorge Pinto. I was delighted with the wonderful design and the high quality of the pen roll. This is my first year using a Hobinich planners. I wanted a more traditional, visual calendar set up to assist my planning in addition to my daily Bullet Journal. And the Hobinichi uses the amazing Tomoe River paper..... One of my justifications for purchasing the Hobinichi was the beautiful leather covers I had spied on an excursion to Galen Leather’s website. I recently purchased a new waxed canvas pencil roll from Winter Session, whom I had never heard of before. While designed for pencils, I am using this as a carrying roll for fountain pens. I appreciate the durability and aesthetics of this roll, and the extra slots allow me to carry more and longer pens than I can fit into my current Pilot Pensemble pen roll. I was not familiar with Hinze Pens before purchasing this pen and would consider another pen from their selection of exciting and pretty resins for my collection in the future. With its classic design and beautiful resin, the Hinze Pen Company Empyrean fountain pen makes for a great conversation piece and an attractive pen to photograph. The Delike brass fountain pen is a Kaweco Sport inspired, fine-nibbed pen that has a lot to love and a few things that I don’t like. If you want heavier pocket pens, this may be a good choice at a price that if only a fraction of metal Kaweco Sport. I love modern fountain pens. The quality, selection and cleanliness seem much better than my childhood nightmares of high-school-required fountain pens. I have horrid memories of my white school dress shirts with blue stains on the breast pocket from fountain pen leaks. 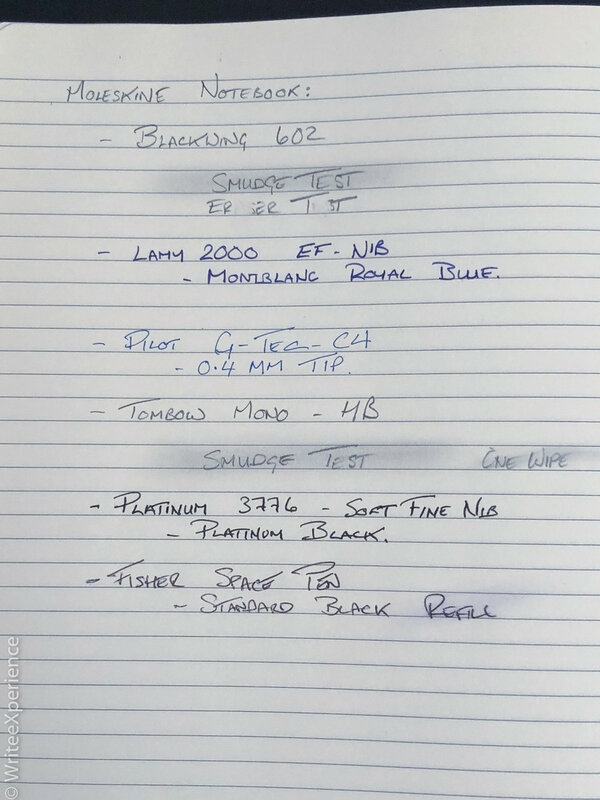 But time and discussions with other fountain pen users that enjoy vintage pens had me curious to whether a properly-adjusted, quality, vintage pen would be as disastrous as the school pens that haunt my dreams.